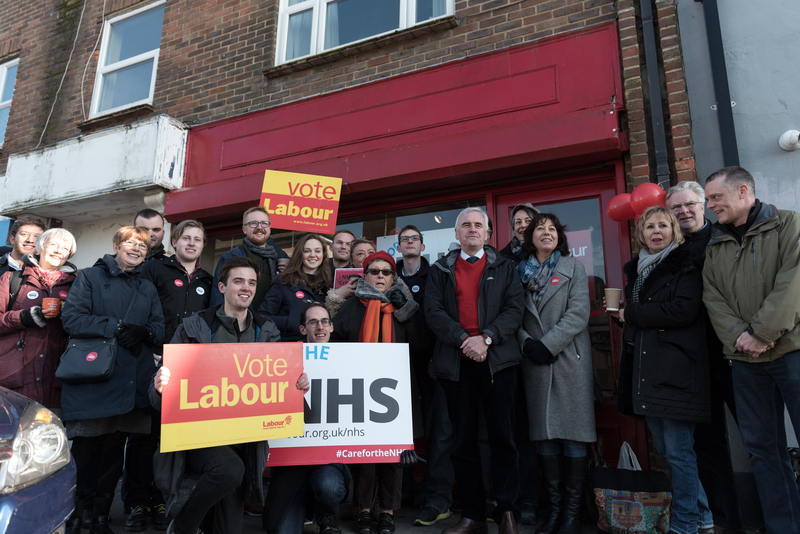 In the morning John McDonnell MP joined NHS campaigners as a big march made its way from the Royal Sussex County Hospital to a rally outside Brighton station in defence of our NHS. Labour Party members and other NHS campaigners were marching all over the country on a national day of action to highlight the crisis of Tory neglect and underfunding of the NHS and social care. At the station, John urged everyone to show absolute determination, courage and solidarity with NHS staff, in campaigning to #SaveOurNHS. Thank you to everyone who joined us for this fantastic day of action.